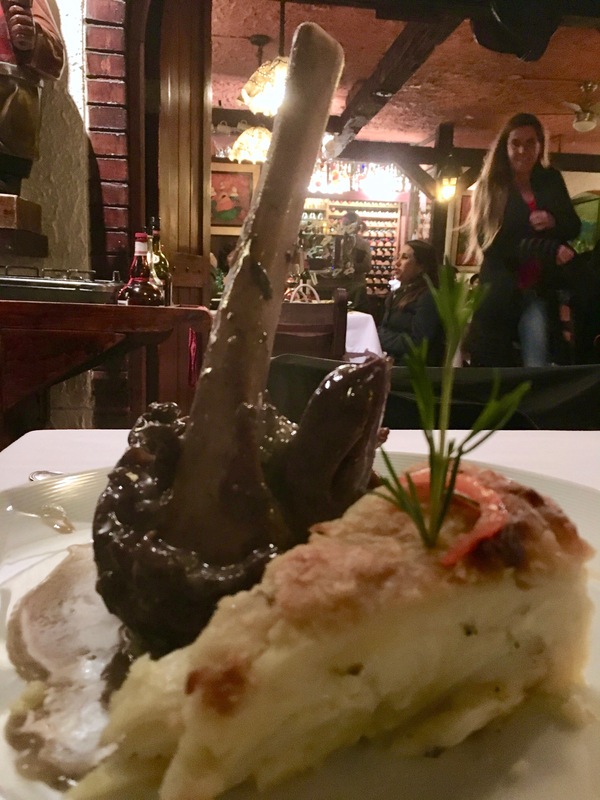 Ivo has a real talent for date night, especially when it comes to dinner out. 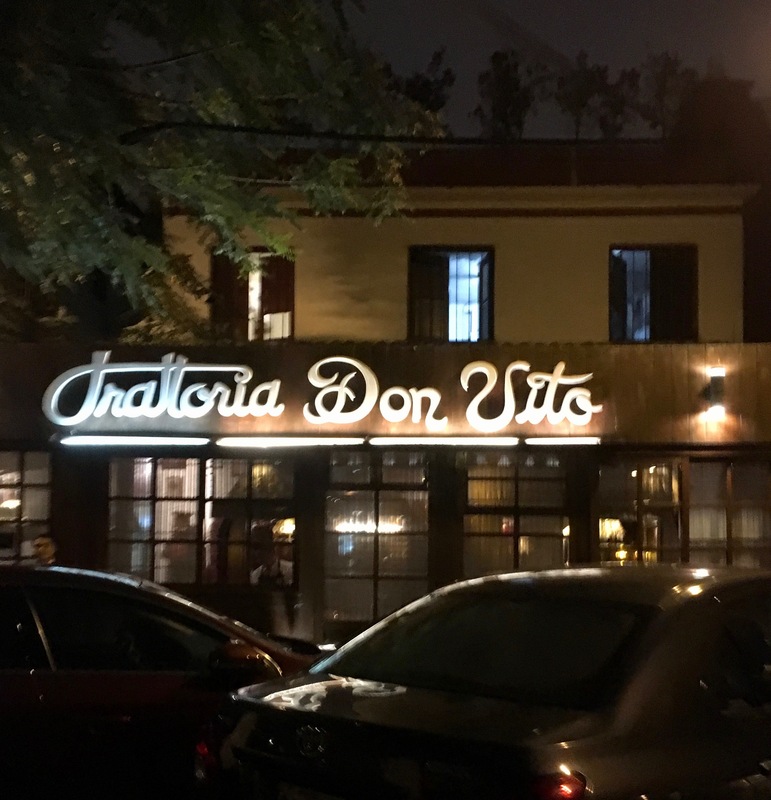 Trattoria Don Vito is on his list of “consider this wife impressed” romantic evenings. 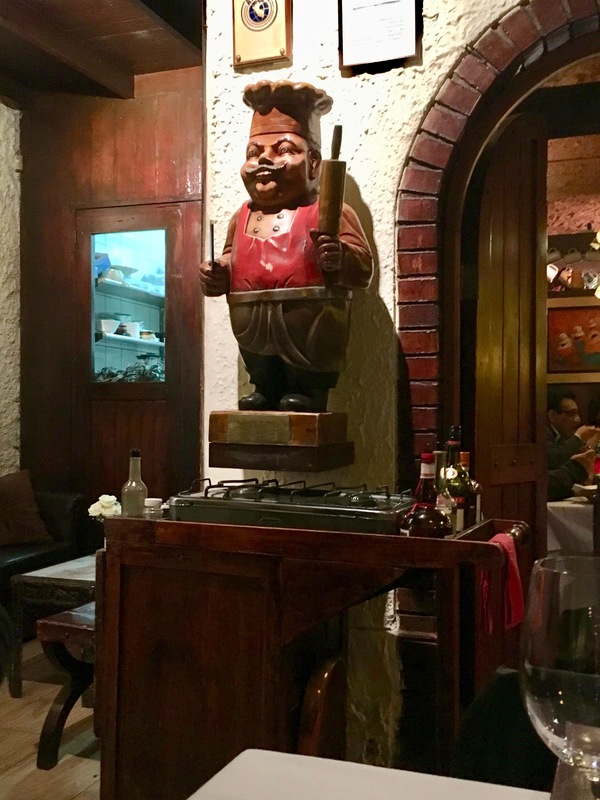 The restaurant is in Miraflores on Martin Dulanto, and its interior design reflects its history: The place was established in 1982. 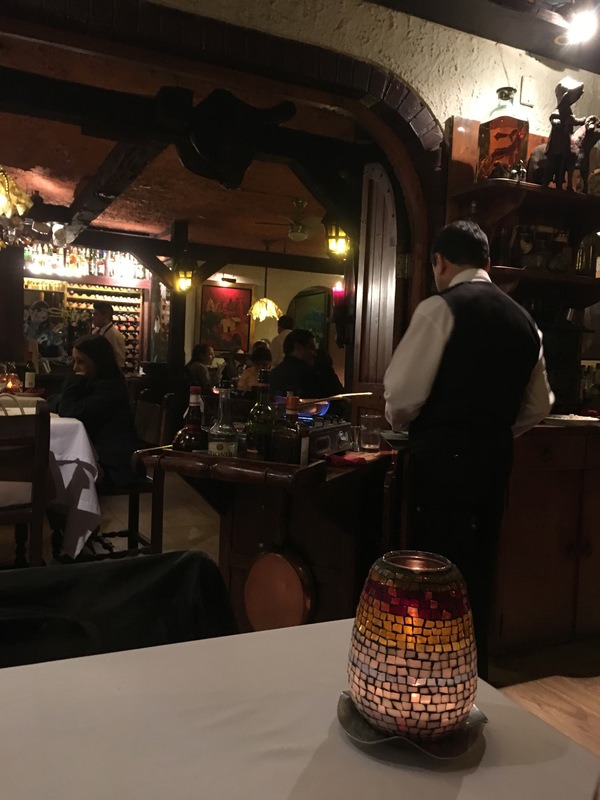 The food, service, and experience has kept it well in business since. Soft amber lighting glows on the old wooden beams and red brick detailing. Clay jugs and glass bottles of oils glitter on old wooden shelves. 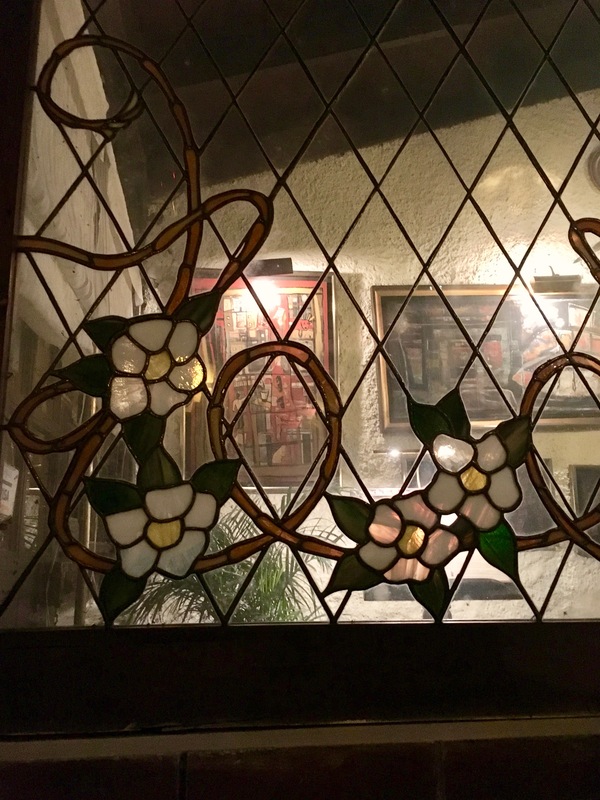 The only other light bounces out of stained glass candle holders on each table. All this makes for poor quality iPhone photos, but high quality romance. 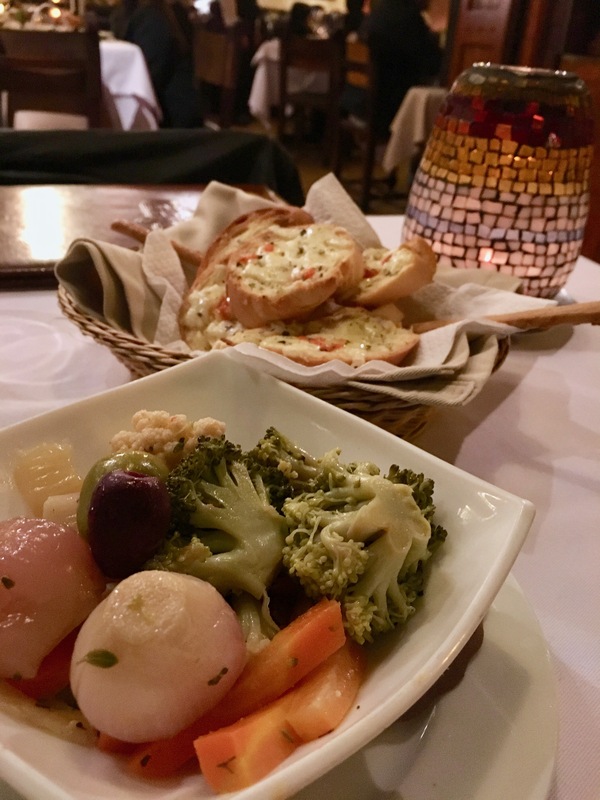 In addition to the traditional starter bread, a small dish of pickled vegetables was brought out. 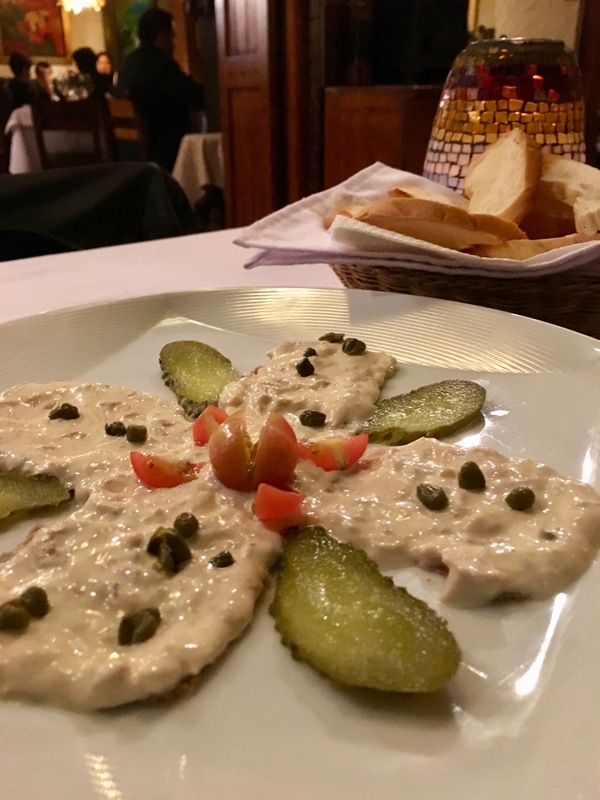 We devoured that and moved on to a unique carpaccio served with thin pickle slices and capers. 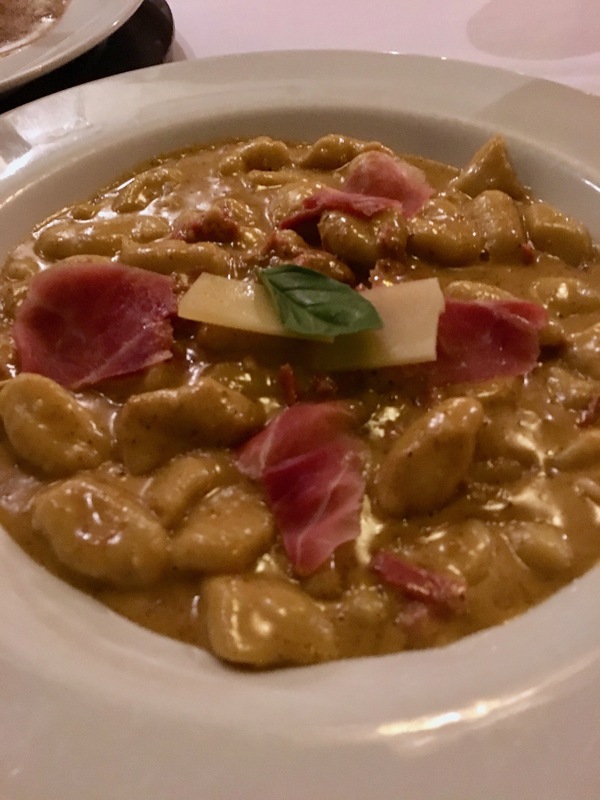 Then we got down to business: My dish was handmade gnocchi in a luscious cream-based sauce garnished with slices of fresh parmesan and prosciutto. Full disclosure: It’s possible I wept a little as I ate it. Cool evening, delicious gnocchi, amber lighting? Yeah, I got choked up. And then there was Ivo’s dish. 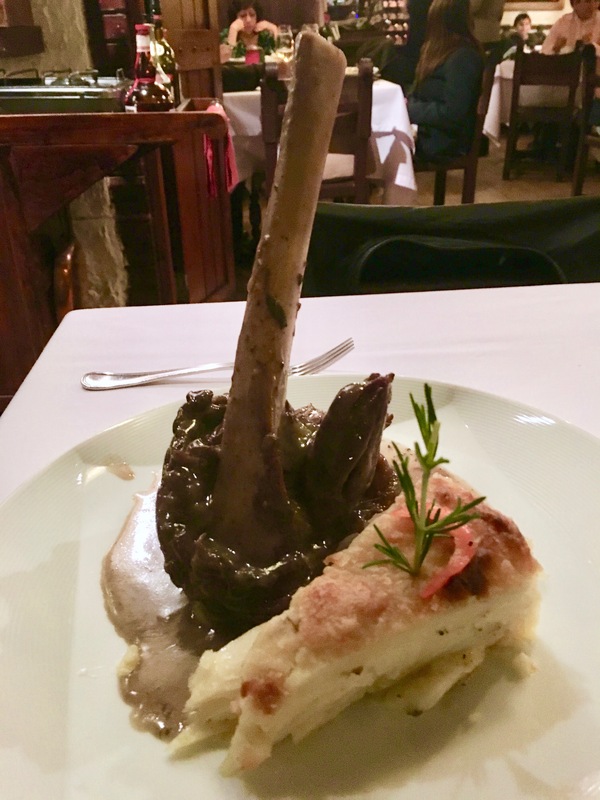 A generous slice of potato au gratin dwarfed by an ossobuco that looked like a memorial sculpture to all past great ossobucos slain in combat. Ivo roared so happily and we tittered so stupidly for the first few minutes after our waiter delivered it, that other patrons had to look over and laugh too. 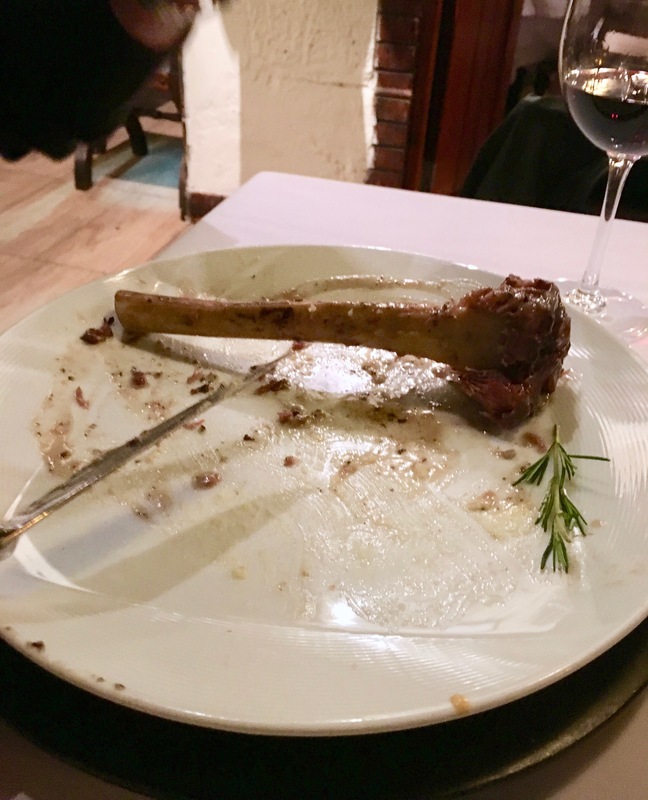 Ivo proved his worth in battle though, conquering the whole wildebeest hock and then helping me with the last of my gnocchi. Since Ivo deserved a reward for defeating that ossobuco, we caved and went in for dessert too. 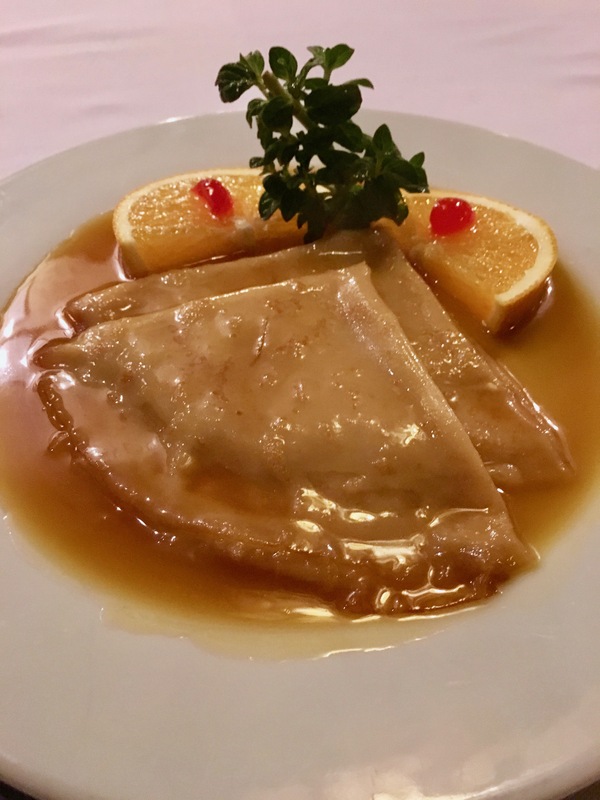 Specifically, we both ordered the orange liquor crepes. It was a last minute decision, but after having made that decision, I’m now qualified to give you some profound life advice: Order the crepes. “But I don’t like orange liqu—” Shhh… Order the freaking crepes. 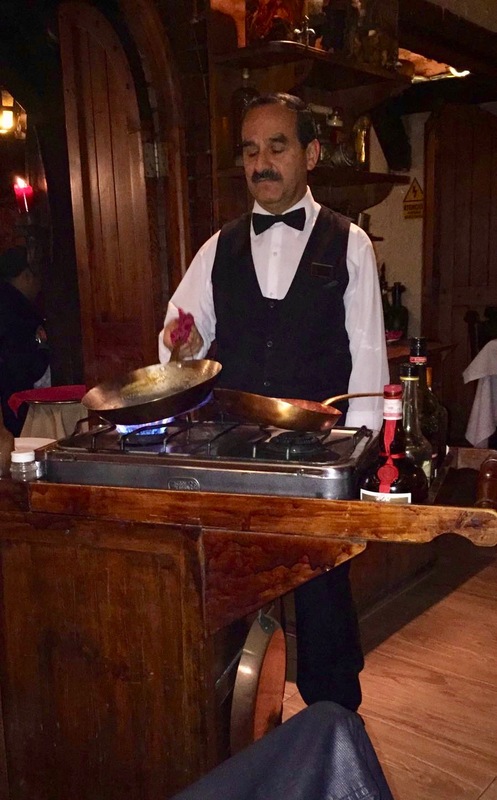 Let this impeccably dressed waiter/chef and his fabulous mustache stand by your table for ten minutes and use his marvelous stove-cart to make from scratch a pair of the tangiest, sweetest, most delightful crepes you’ve ever had. If you think you’re too full, I assure you: It’s worth the extra bottle of wine while you make space for them.